Jayme M. Torelli’s practice focuses on preparing and prosecuting US and international patent and trademark applications, and providing intellectual property strategy and enforcement advice. Jayme has prosecuted hundreds of patent applications to issuance. She primarily assists clients in the pharmaceutical, biotechnology, and medical device industries. 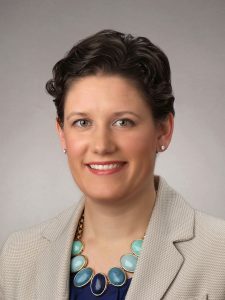 She also has experience drafting and prosecuting patent applications relating to lab instruments and equipment, power generation, consumer products, and semiconductor processing. In addition to assisting domestic clients, she works closely with foreign law firms to represent their clients’ patent and trademark interests in the US. Jayme also helps clients build and enforce international trademark portfolios, and advises on trademark usage. Her clients’ brands can be found in diverse industries including pharmaceuticals, computer software, sportswear, food and beverages, professional services, and financial services, among others. Jayme also regularly provides opinions as to patentability, freedom to operate, invalidity, non-infringement, and trademark clearance and registerability. In addition to her work, Jayme volunteers her time with STEM events in the Albany area, including RPI’s “Design Your Future Day” and the Capital District Invention Convention. Prior to joining Hoffman Warnick in 2006, Jayme completed law internships with the intellectual property counsel at Intermagnetics General Corporation in Latham, New York, and the Saratoga County District Attorney’s Office. In addition, she served on the editorial board of the Albany Law Journal of Science and Technology as Managing Editor for Lead Articles. Prosecuted a US patent application covering a method of treatment; a petition for institution of inter partes review of the resulting Orange Book-listed patent was filed by a generic manufacturer. The petition was denied by the PTAB.